I was lucky enough to attend the LCIA Symposium at Tylney hall this last weekend. It reminded me just how expert and focused the international arbitral community is. The format was also interesting – pre identified topics thrown open to discussion. Informative and enjoyable and a simply brilliant speech after dinner from Karyl Nairn QC. Judith Gill QC now takes over as President of the LCIA Court. Whilst she has a tough act to follow in Rusty Park, she will I am sure be a great success. I hope they let me go again…. It takes a lot to get me from my normal blogging territory of construction and energy. Two things have managed to do it. The first is the flurry of comments on twitter and other social media describing the retirement of Lord Dyson, the Master of the Rolls as “premature” and as indicative of some greater malaise in the judiciary. Just a second. Lord Dyson will retire in October aged 73, having been the Master of the Rolls for 4 years and a Judge for 23 years.He could have retired 8 years ago and taken his full pension. The flurry about Lord Dyson’s retirement disguises the real issue which is the effect of a combination of recent changes in judicial terms and conditions and the taxation of pensions on retention of younger Judges and recruitment of new ones. Recent changes have a disproportionate effect on new and young but senior judges. The package of a High Court Judge appointed now is significantly worse than that provided to an appointee in 2010. People credibly talk of the net package now as 70% of what it was then. A pay cut of 30% ! The surprise is not that there are some retirements that might look a little early, but that people bother to do the job at all and when they do, they stay more than five minutes. Perhaps, it is time now to adopt the practice of other jurisdictions where Judges act as Public Judges for part of the year and as International Arbitrators or in similar roles for another part. I am probably the wrong one to ask because I have never wanted to be a Judge. However, taking an appointment now involves a very considerable sacrifice for comparatively little benefit. It is public service but at great personal expense. Let us hope that the powers that be in the Ministry of Justice can address this problem. The slightly enhanced salary recently suggested can only be described as a start. It is, I suspect, the time for some innovative thinking. In the midst of the Twitter outrage about Lord Dyson’s allegedly premature departure from the sinking ship, I came across some hostile observations about Lord Justice Jackson. 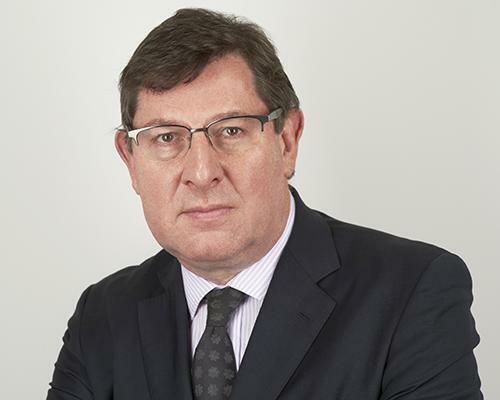 They hit a new height in the Brief, the Times excellent email morning update, this morning where Mr David Golten, a solicitor, felt it right to say “as to litigation being exorbitantly expensive, I am not aware of any briefs returned by Rupert Jackson, QC, when he was practising at the Bar because the fees were too high”. Cheap but also unfair. I was often led by Rupert Jackson QC. In fact, his fees were always remarkably reasonable, if not low. Mr Golten’s comment is unfair. There was no element of bunce in fees charged by Rupert Jackson QC. As his junior, I can testify to that. Furthermore, having agreed reasonable fees, he used to put in prodigious amounts of work and certainly many more hours than he was charging for. When doing a trial, he often worked through the night. My happiest memory is of a case where I was one of his juniors. I was released from this particular part; he thought that he only needed one junior and not two. Saving costs, even then. The remaining junior was being worked to within an inch of his life. Suddenly respite came. Rupert said “Let’s have some supper” and the junior relaxed. Salvation was at hand. “We’ll go to Café Rouge” he said. But sadly there was to be no rest. Jackson ordered ahead by telephone. The pair duly had three courses and coffee in no more than 16 minutes and returned quickly to their papers for the night’s work to continue. I know that Lord Justice Jackson’s reforms have caused strong views. Of course, there is room for more than one view about some or all of the costs and procedural reforms that he has pioneered. Surely, however, no one would think that the old CFA system, which ramped fees up to an extraordinary extent could survive without reform. Surely no one could have thought that civil procedure did not need a kick applying to it to make it more efficient? Of course the view that some of the reforms may have gone too far is an understandable one, whether right or wrong. But don’t pretend that there weren’t problems that somebody had to have the courage to come and at least try and solve. And in this debate, we really should be talking about the issues rather than taking what look like cheap shots at individuals. Get the best expert you can. He ( or she obviously ) must be highly expert in relation to the issues upon which he has been asked to give an opinion. He must fully and properly understand the role of an independent expert, study the rules about giving expert evidence and be both willing and able to comply with them. Then it is necessary to consider whether the expert has experience of giving evidence in court or if not whether he looks likely to be somebody who will be able to deal with the court hearing process. Check also to make sure that he has no blemishes discoverable by an internet search or at least no blemishes sufficient to give him too uncomfortable a time in cross-examination. It is as simple as that. In fact, it is. Having an expert witness who is in truth an expert and straight is a large part of the battle. Test that view against the way in which one cross-examines experts. First one looks at their qualifications. Are they in truth experts? Are there areas that have given evidence about that are outside their expertise? How does their expertise compare with the expert on the other side? Have they over-egged their qualifications? (A good start to any cross examination if they have…) Have they failed to draw attention to some lacuna in their expertise? Have they failed to follow the rules of Court about the content of their report? Have they drawn attention to points potentially adverse to their opinion? Have they identified all the sources upon which they have relied? In oral evidence do they make concessions quickly enough? If they do make concessions, why were their concessions not made in their report or in the expert’s agreement? There is nothing as good as a good expert and nothing as bad as a bad one. Trite but right. If experts do not do their job properly or misrepresent their position then they badly harm the party whom they are instructing. Having a bad expert or one who does not follow the rules harms your case. When giving oral evidence, experts have to tread a fine line. They have to be truthful and honest and remember that they are witnesses and not advocates. However, they need to be able to “hold their own” and explain fully truthfully, honestly and persuasively the views that they have. We have all seen the full range of experts. The expert who pretends he is more expert than he really is and by the time he appreciates his error is in too deep. The expert who forms a preliminary favourable impression of his client’s case and then again in too deep to row back when he discovers things that would have caused him to qualify his opinion. The expert who gives in to pressure from those around him to be more favourable to the appointing party then he ought to be. The witness who is belligerent when cross-examined and who destroys his own creditability. The witness who falls apart when cross-examined and actually ends up doing more damage to his appointing party’s case. Over the years I have seen some expert witness disasters. Probably the one who sticks in my mind most is the expert who when asked whether this was his report and whether it contained the views he held in relation to matters in issue answers that depended upon whether the question related to now or when he wrote it. It had been true when he wrote it but now as a consequence of something that he had just discovered it was all completely wrong. Or the witness who when re-examined was asked to confirm his original views said that he had changed his mind in cross-examination as a result of the questions from Mr X. (not me !). Or the witness who, after some powerful cross-examination, accepted that his performance as an expert had been a disgrace. And I have seen some absolutely brilliant ones. Thorough, fair, balanced, courteous and assured and who did not put a foot wrong. At the risk of repetition, get the best expert you can, ensure he understands his role and complies with the rules and jealously guard his independence. He will be your best weapon. 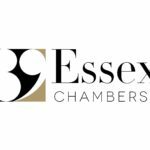 It is now the norm for parties in litigation or arbitration to produce written witness statements which they disclose in advance of the hearing. Those witness statements normally stand as evidence-in-chief at the hearing. Looking at CPR 32 and the Practice Direction is a useful reminder. The Court can control the evidence by giving directions as to the issues on which it requires evidence, the nature and the way in which the evidence is to be placed before the Court and the Court may limit cross-examination (CPR 32.1). A witness statement is a written statement signed by a person which contains the evidence which that person will be allowed to give orally (CPR 32.4(1)). The general rule is that any fact which seems to be proved by evidence must be proved at trial by the oral evidence given in public (CPR 32.2(1). Where a party has served a witness statement, he must call the witness to give oral evidence unless the Court orders otherwise or he puts in the statement as hearsay evidence (CPR 32.5(1)). Where a witness is called to give oral evidence, his witness statement shall stand as evidence-in-chief unless the Court orders otherwise (CPR 32.5(2)). A witness giving oral evidence at trial may with the permission of the Court amplify his witness statement and give evidence in relation to new matters which have arisen since the witness statement was served on the other parties (CPR 32.5(3)) but the Court will only give permission if there is a good reason not to confine the evidence witness to the contents of witness statements (CPR 32.5(4)). I hope I am not thought controversial if I say that many of these rules are habitually not implemented. In reality what happens nowadays is that people serve witness statements on all issues and the evidence stands as evidence-in-chief. The one rule that perhaps is not ignored is the restriction on oral amplification. If one is looking for provisions either honoured in the breach or ignored, then just turn to the Practice Direction. 32PD.18 provides that the witness statement must, if practicable, be in the intended witness’ own words. The witness statement must indicate which of the statements are made from the witness’s own knowledge and which are matters of information or belief and the source for any matters of information or belief. Before I look at the practical problems to which these rules give rise, I identify first the two principles that conflict. The first is that oral evidence upon which a party wishes to rely should not be “led”. The principle that the advocate should not be suggesting the answer to the witness by his question is one of the key underlying principles of the production of oral evidence. However, the witness statement nowadays is the ultimate leading question. “Is this witness statement carefully prepared by your lawyers gone through by everyone else in the litigation and widely discussed to the best of your knowledge and belief?” Answer: ‘Yes. ’ Gosh, how amazing ! Against that is the principle that litigation has to be efficiently and economically conducted and witnesses simply reciting at great length uncontroversial matters in oral evidence is a waste of everyone’s time and money. When I was a pupil and a young barrister, the rules of Court did not provide for witness statements to be exchanged and to stand as evidence-in-chief. The Official Referees, at the TCC Judges were then called, were the pioneers of the practice. And not surprising that it was so. Large quantities of factual evidence in cases in front of the Technology and Construction Court are uncontroversial. Going through it day after day is a total waste of time. However, on matters that are controversial, the witness who was able to put down his version on paper got a distinct advantage. But the short point is that it is not his version. It is the version that has been prepared for him. Of course he has adopted it but then why wouldn’t he? One the key problems with witness statements is that the evidence is often not, as the Practice Direction requires, the witness’ own evidence. An Arbitrator in from of whom I have appeared (a retired Judge from a different jurisdiction) said openly that he regarded witness statements as a total waste of time. He paid little or no attention to them because they were not the witness’s work but on the contrary were the expensive work of the lawyers. In fact, witness statements can be bad for witnesses. The first questions that they are asked at the hearing are very often hostile and occasionally well disguised hostile questions in cross-examination. Furthermore, a witness who has accidentally attested to something that is not right can end up being embarrassed at best and severely damaged and criticised at worst in cross-examination. Some people would abolish the concept of the exchange of witness statements in their entirety. I understand why but I would not go that far. What though would I do? First, I would enforce rigorously the requirement that the witness statement be in the witness’ own words. I would do that by having a protocol about how witness statements were to be taken which, whilst not leaving the witness to their own devices would materially reduce the involvement of a draft as a witness statement. I would require the witness in the witness statement to explain the process by which the witness statement was produced and to certify in a much longer form than is currently used, that it was within his own words and that he was happy. I would not cut out lawyers but I would ensure that it was the witnesses’ own statement. Second, I would ensure that the parties engage with each other and the Court as to the topics upon which witness evidence was required. You do not need witness or indeed any evidence on something that is agreed and uncontroversial. Parties just have to agree to a greater extent what is uncontroversial and then have witness statements focussing on that which is in controversial. Judges are getting better at case management and most of them can now help this process rather than impede it. Fourth, I would be very vigorous at striking out non compliant parts of witness statements. Opinion. Argument etc. Irrelevance. Extensive quotation from documents. Straight out. If parties did not comply, then I would use the full force of the Court’s powers against them. There are, though, real forensic advantages in getting it right which should co-operation. If the witness statement properly reflects the witness’ own words, then it is much more compelling than something that has been constructed by lawyers. Furthermore, the witness who in cross examination is defending his own witness statement when it has been prepared in accordance with these principles, is going to do a much better job. The cross-examiner will not be given the scope that a badly prepared witness statement brings. There’s nothing worse than a bad witness statement; by contrast a good enough is a formidable weapon.